I went down to the beach this weekend so my update came a little late. I’ve been inspired by the ocean waves and the distant call of the seagulls with my next selection in night seven of my mega movie halloween countdown. 31 movies, 21 nights of horror! I hope you brought the monopoly, and the beer and you’re ready for a fall break because our next slice is a ocean spray good time. Ah yes, the ultimate in beach slashers. 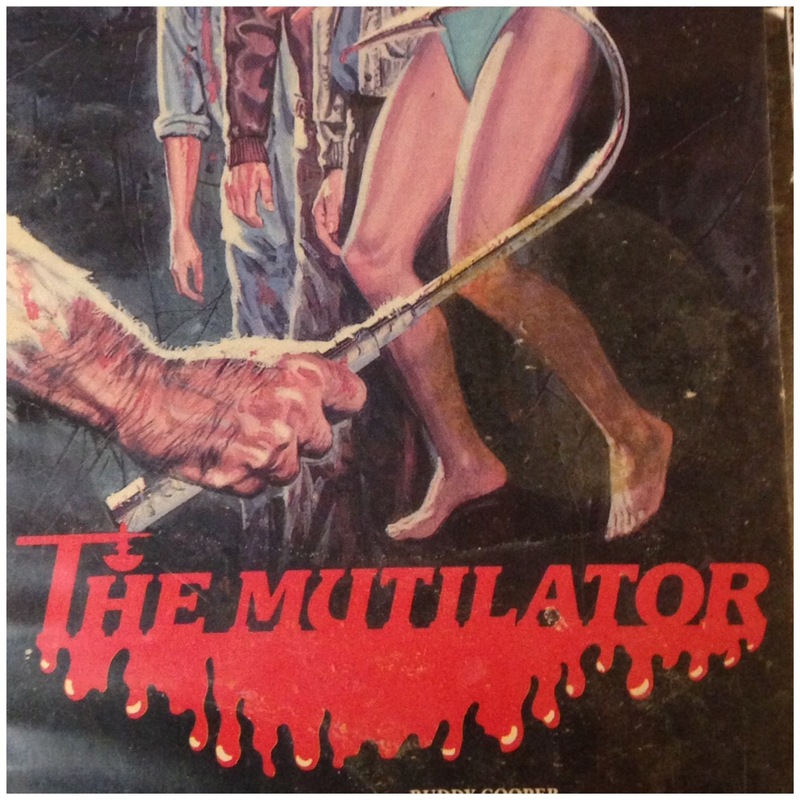 The Mutilator is an often forgotten about 80s horror cult classic in the slasher sub genre. Originally titled Fall Break the story follows a group of carefree college co-eds, one of which committed matricide. They now find themselves being hunted in paradise by the revengeful and drunken father. The film has extremely bad dialogue but it’s perfect for when you’re just trying to have a good time — ouch bad reference (see Fall Break song). It has a spectacular final bit that includes a thrilling car scene that ends in a brilliant gore special effect of a lower body being amputated. It’s great. Also, this film has one of the ugliest men in all of existence. Morey Lampley. Shudders. See you tomorrow babe bikinis.